Hand-picked grape harvest, soft pressing. Fermentation at controlled temperature of 16/18°C. Storage in barrels and fermentation in the bottle. After 24 months in contact with the yeast the wine is subjectes to three months after disgorgement and marketed. 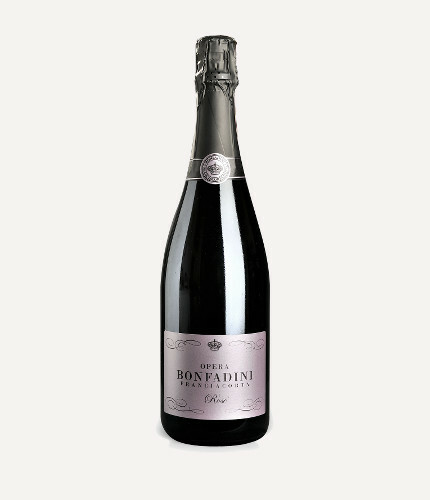 Franciacorta Rosé DOCG Opera has an intense pink color like the skin of an onion. Perfume like fragrances reminiscent of cherry and red berries. Marked and persistent flavor. Perlage fine and continuous.